ABC Renews Modern Family, A Million Little Things and More! ABC announced today that it has renewed the hit drama "The Good Doctor" for a third season, "A Million Little Things" for a second season, "Shark Tank" for an 11th season and "Modern Family" for an 11th season and final season. Watch episodes for the current season of these shows and more on the ABC app from your smartphone and tablet (iOS and Android), computer on ABC.com and connected devices (Roku, AppleTV and Amazon Fire TV). MODERN FAMILY – SEASON 11: Currently in its 10th season, the Emmy® Award-winning series "Modern Family" has been renewed for an 11th and final season. This wonderfully large and blended family will continue to delight audiences for the 2019-2020 fall schedule with its honest and often hilarious look into the warm and sometimes twisted embrace of the modern family. The show ranks No. 1 in Wednesday's 9:00 p.m. half-hour among Adults 18-49 (2.1/9) and places among TV's Top 5 comedies this season (No. 4). A five-time Emmy winner for Outstanding Comedy Series, "Modern Family" remains one of the most heavily awarded comedy series on television. The series stars Ed O'Neill as Jay Pritchett, Julie Bowen as Claire Dunphy, Ty Burrell as Phil Dunphy, Sofia Vergara as Gloria Pritchett, Jesse Tyler Ferguson as Mitchell Pritchett, Eric Stonestreet as Cameron Tucker, Sarah Hyland as Haley Dunphy, Nolan Gould as Luke Dunphy, Ariel Winter as Alex Dunphy, Rico Rodriguez as Manny Delgado, Aubrey Anderson-Emmons as Lily Tucker-Pritchett and Jeremy Maguire as Joe Pritchett. THE GOOD DOCTOR – SEASON 3: The doctors at San Jose St. Bonaventure Hospital will be back with new episodes of the successful drama, produced by Sony Pictures Television and ABC Studios. The series airs Mondays at 10:00 p.m. ET on The ABC Television Network, streaming and on demand. A MILLION LITTLE THINGS – SEASON 2: They say friendship isn't one big thing, it's a million little things; and that's true for a group of friends from Boston who bonded under unexpected circumstances. Some have achieved success, others are struggling in their careers and relationships, but all of them feel stuck in life. After one of them dies unexpectedly, it's just the wake-up call the others need to finally start living. Along the way, they discover that friends may be the one thing to save them from themselves. 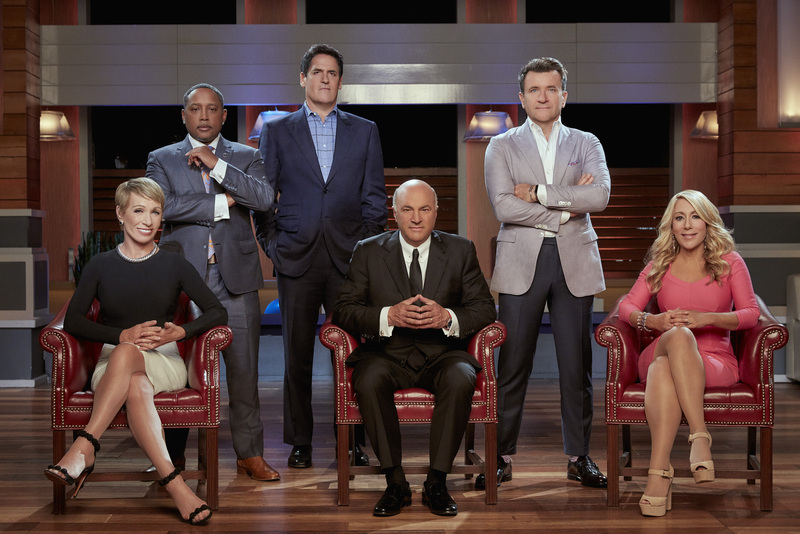 SHARK TANK – SEASON 11: The recipient of the 2017, 2016, 2015 and 2014 Emmy® Award for Outstanding Structured Reality Program, "Shark Tank" features The Sharks – tough, self-made, multimillionaire and billionaire tycoons – as they invest in America's best businesses and products. The Sharks will give people from all walks of life the chance to chase the American dream and potentially secure business deals that could make them millionaires.